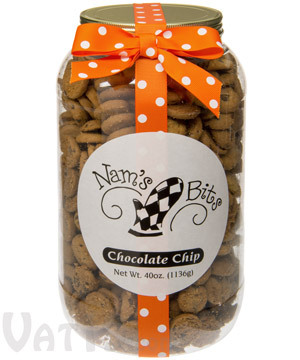 Enjoy the world's most addictive bite-sized chocolate chip cookies with a jar of Nam's Bits. Each perfectly crunchy, yet irresistibly buttery "bit" is hand made in Georgia. You won't be able to eat just one, so order an entire jar! 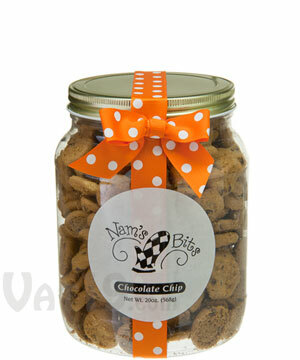 Nam's Bits Chocolate Chip Cookies are available in four gift-ready sizes: 5 oz, 10 oz, 20 oz, and 40 oz! Most delicious cookies we've ever tasted, ever. Seriously, they're amazing! So buttery! 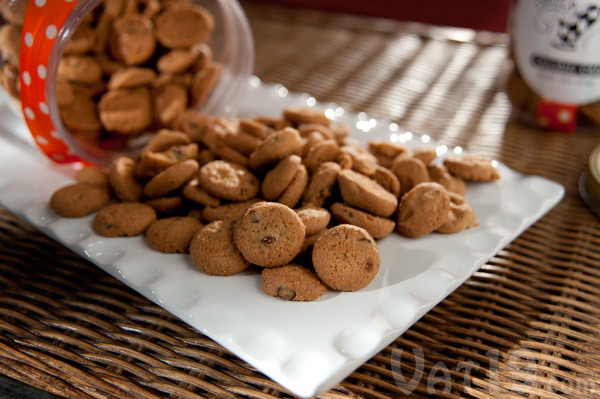 Nam's Bits are the best bite-sized cookies we've ever laid tongues upon. We cannot stress enough how gloriously wonderful these little treasures are. These gems are made in a small shoppe (Middle English spelling employed to emphasize our reverence for said shop) in Roswell, Georgia. We'll delve into the story a bit further down the page. Before that, though, please do yourself a favor (you'll thank us later) and buy some of these cookies right now (the rest of the page is fluff, anyway, right?). 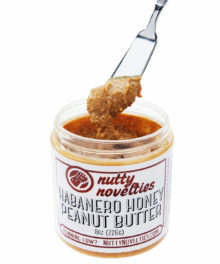 We have quite the sweet tooth here at Vat19.com, so we know a great snack when we taste it! 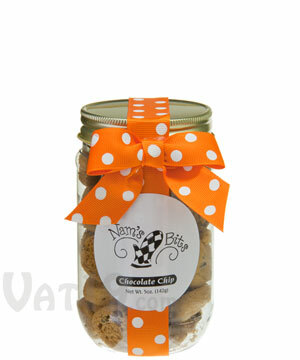 Nam's Bits Chocolate Chip Cookies are impossible to resist! 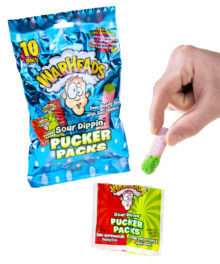 They're like what we'd imagine crack cocaine to be! Admission: I've never tried (and you shouldn't either!) cocaine, crack cocaine, or derivative thereof. However, I think everyone has, at one time, tossed about the expression, "It's like crack!". Now, what they meant was that the item tasted good. That is not what we mean. 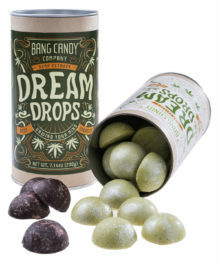 What we mean is that these things are so addictive that you will pretty much do anything to get your hands on more. I'm not saying that you'd break into your Mom's house and sell her TV so you can get more, but here's what I can tell you: I've eaten about 25 while writing this product page. And I'm only a third of the way down the page! And I've already had lunch. A big lunch. They're just so darned good. 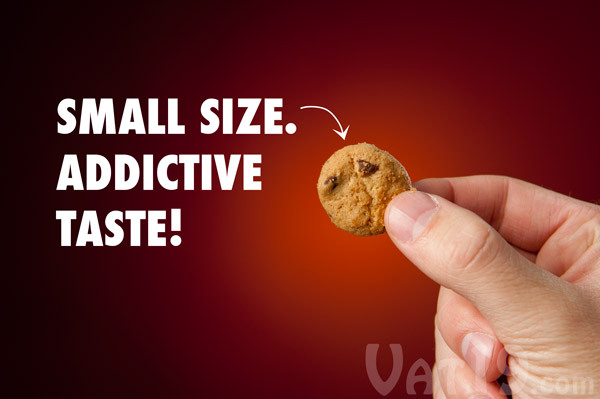 Nam's Bits' bite-sized chocolate chip cookies are famously addictive. The creator of Nam's Bits owes its creation to her beloved grandmother Nammy. Nammy, for thirty years, made delicious homemade chocolate chip bits for her eleven grandchildren for birthdays, holidays, and just because. Spread the love, Nammy-style, with these little bits of chocolate heaven! Cookies really do deserve a few extra "o"'s, don't they? A crunchy, buttery, molasses-chocolate-vanilla infusion! 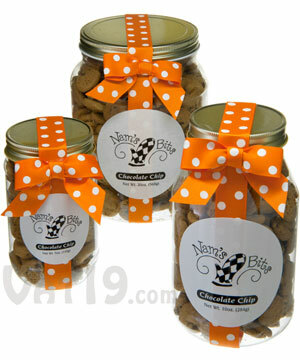 Nam's Bits Chocolate Chip Cookies are a delicious snack that you'll be hard-pressed to put down. 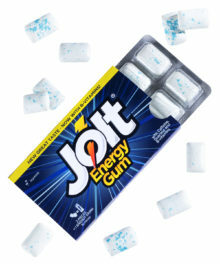 Each bite is so just darned tasty. They're crunchy, but not crumbly. They're buttery, but not overly rich. They're chocolately, but there are hints of molasses and even a touch of vanilla. 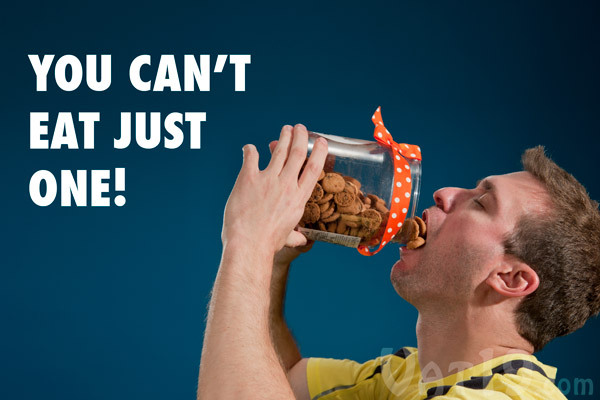 There is absolutely nothing wrong with chugging cookies from your Nam's Bits jar. 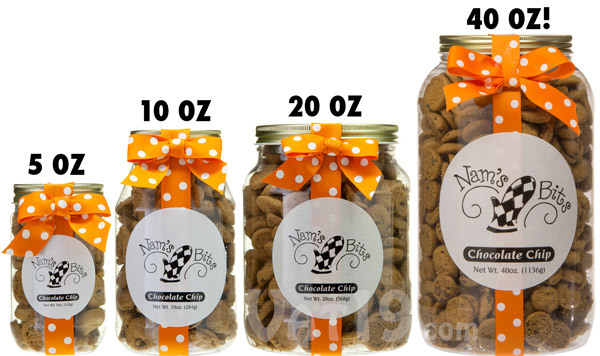 Nam's Bits Chocolate Chip Cookies are currently available in four gift-ready jar sizes: 5 ounces, 10 ounces, 20 ounces, and the behemoth 40 ounces! In my experience, you can easily down the 10-ounce size over the course of a single day. Seeing as how that would be approximately 1300 calories, we don't recommend doing this often. However, something this good is sometimes hard to put down! 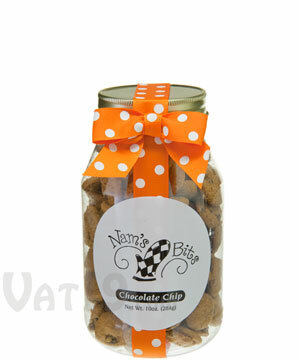 Choose from four sizes of Nam's Bits Chocolate Chip Cookies. Question: What makes these cookies so curiously awesome? Answer: Taste. They're remarkably delicious. I learned of these cookies a few years ago when family from Georgia gave them to me. It has been my favorite gift ever since (hint to anyone looking to bribe the Vat19.com staff). Answer: Enriched bleached bread flour (bleached wheat flour, malted barley flour), butter (cream, salt), sugar, brown sugar (sugar, molasses), chocolate chips (sugar, unsweet chocolate, cocoa butter, soy lecithin, vanilla), eggs, vanilla (water, alcohol, corn syrup, vanilla bean extract), baking soda (sodium bicarbonate), salt. Question: Is there a non-fat version? Answer: No, there isn't a no-taste version of these cookies available. So sorry. Question: What are the nutritional facts? Answer: Serving size is 1 ounce. Calories = 130. Calories from Fat = 50. Total Fat = 6g (9%). Saturated Fat = 3.5g (18%). Trans Fat = 0g. Cholesterol = 20mg (7%). Sodium = 290mg (12%). Total Carbohydrate = 17g (6%). Dietary Fiber = 1g (4%). Sugars = 10g. Protein = 2g. Question: I have a nut allergy. Are they produced in a nut-free environment? 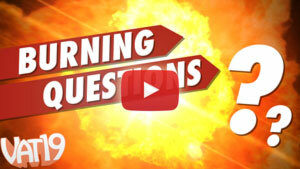 Answer: Nam's Bits are made in a facility that processes peanuts, treenuts, sunflower seeds, milk, soy, and wheat. Question: C'mon, do they really taste that good? Answer: Yes. Vat19.com is known for products that are a bit unique, different, or off the beaten path. So, there's really only one reason why we'd sell something as "normal" as bite-sized chocolate chip cookies: they're just that freakin' amazing. We simply must share them with the rest of the world! So, buy, buy, buy. Or I'm eating them all myself. Which is OK, too, I guess. Dang it, I'm a bad salesman.